Cassidy Foust reviews the book at LitHub. When he was in his early 20s, Bonvicino published two books, Bicho Papel (1975) and Régis Hotel (1978). His later books include Sósia da Cópia (Max Limonad, 1983), Más Companhias (Olavobrás, 1987), 33 Poemas (Iluminuras, 1990), Outros Poemas (Iluminuras, 1993), Primeiro Tempo (Perspectiva, 1995), Ossos de Borboleta (Editora 34, 1996), Together – um poema, vozes (Ateliê Editorial, 1996), Céu-Eclipse (Editora 34, 1999), Remorso do Cosmos (de ter vindo ao sol) (Ateliê Editorial, 2003), Página Órfã (Martins Fontes, 2007), and Estado Crítico (Editora Hedra, 2013). 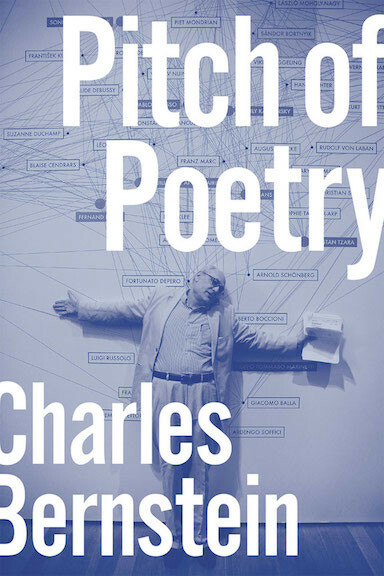 His collected poems was published in 2010 as Até Agora (Editora Imprensa Oficial, 564 pages). Translations of his work include Sky-Eclipse: Selected Poems (Los Angeles, Green Integer, 2000) and Blue Tile (Hong Kong, The Chinese University of Press, 2011), translated by Yao Feng. Bonvicino has translated (among others) Argentine poet Oliverio Girondo, French poet Jules Laforgue, and American poets Robert Creeley and Charles Bernstein. 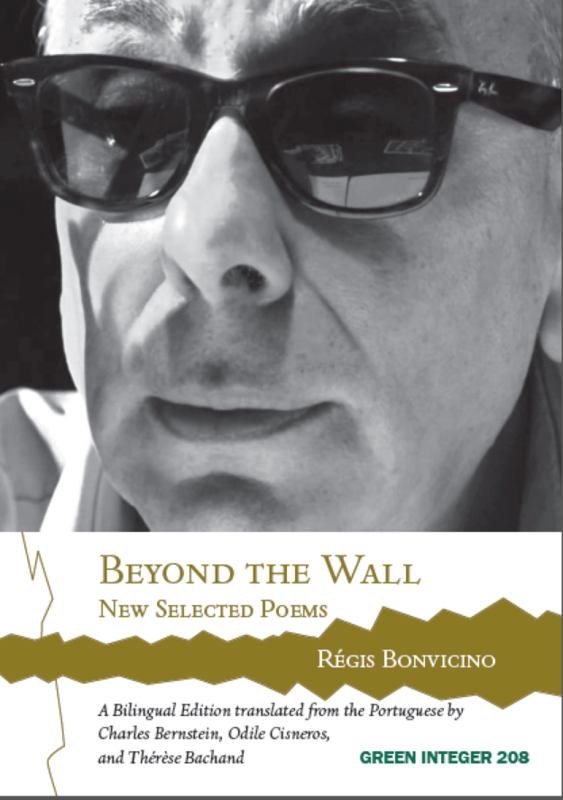 Bonvicino edited one of the main Brazilian poetry anthologies of the last decades, Nothing the Sun Could Not Explain (Los Angeles, Sun & Moon Press, 1997). His collection of 1970s letters with poet Paulo Leminski was published first in 1991, with an introduction by Caetano Veloso. In the 1970s, Bonvicino edited Poesia em Greve, Muda and Qorpo Estranho (with Julio Plaza). In 2001, he founded Sibila, a literary magazine that published eleven print issues. Sibila went digital in 2007. 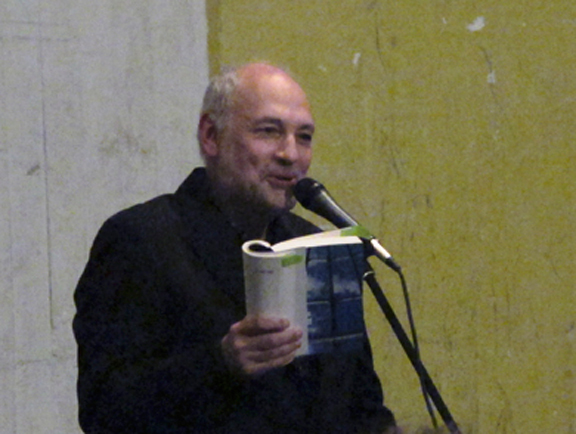 As a critic, he has written for the newspapers Folha de S. Paulo, O Estado de S. Paulo, and Jornal do Brasil; and in magazines such as Veja and Istoé. Close Listening conversation with Bonvicino. “Poetry in a Time of War and Banality” — series in Brazil cocurated by Bonvicino (Lehto, Dragomoschenko, and “traitor to the movement” images (translator/traitor).